The Wine Scholar Guild takes great pride in its high-caliber program provider network. 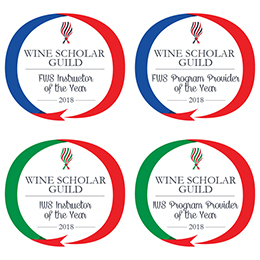 Each year, we honor the best of the best in recognition of their stellar accomplishments as Instructors and Program Providers with WSG Awards for each category: French Wine Scholar™ and Italian Wine Scholar™. Study at one of our 60+ approved providers in 20 countries on 5 continents! 1 seat has opened up for Alsace in October and 4 seat for our Bourgogne trip in June... both with Andrew Jefford. First come first served! Award-winning author and columnist, Academic Advisor for the Wine Scholar Guild, Andrew Jefford shares his very personal perspectives on wine learning, wine writing and more… This episode also previews the new Loire Master-Level program on deck for later this year! Not all about wine! 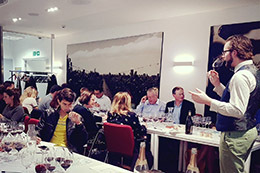 Our locally based Tour Manager, Sarah Graham-Beck, is continuing her series of articles about travel tips to Bordeaux. 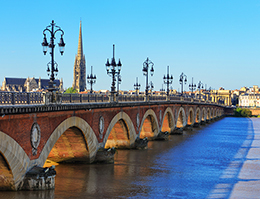 How about a boat trip on the Garonne, a visit of UNESCO-listed Vauban’s Citadel in Blaye, or a walk on the tallest European sand dune, Dune du Pyla? 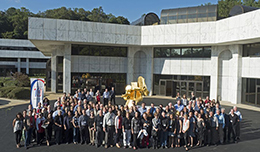 WSG will be celebrating its 15th anniversary in 2020! On that occasion, we would like to host a symposium… not at the French Embassy in Washington DC like we did for our 10th anniversary… but in France. The idea is to host it adjacent to a major wine event for attendees to make the most of their trip to France. Which event & area of France would you be most interested in attending/going to? The most celebrated examples of Barolo are among the finest examples of terroir anywhere in the wine world. Yet beyond the terroir of site specific, there is also a human terroir at work. 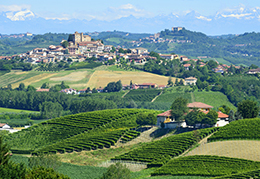 Explore the various styles of Barolo from strict traditionalism to a more modern approach and the characteristics of the finest producers and wines of Barolo. Become a WSG member & access all webinars! 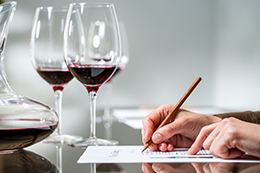 "Enrolling in a wine education course may seem confusing, but there’s an option for everyone. 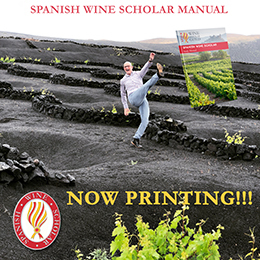 Here’s advice to consider" […] "For students who prefer to focus on a particular country, the Wine Scholar Guild (WSG) offers French and Italian studies with Spanish beginning in fall 2019, all of which can be further specialized with master-level certifications for distinct wine regions." The manual has gone to print! Hats off to Rick Fisher, SWS Education Director for such impressive dedication in writing the SWS study manual. We also want to thank a handful of folk who helped us to get here: Quentin Sadler for his amazing maps; Lisa Airey, Kirra Barnes, and Kate Hall for the hours and hours of editing and proofing; Alfonso Janeiro and The Wines From Spain crew (in both Spain and the US) for the continued support and promotion! Time for a nice glass of cava!!! Currently in pre-launch for educators only. Official launch: September 2019!